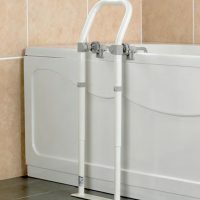 A sturdy grab rail with a moulded, ergonomic design to promote confidence and stability when getting into and out of the bath. 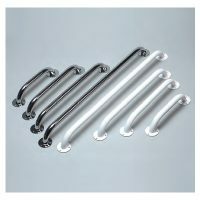 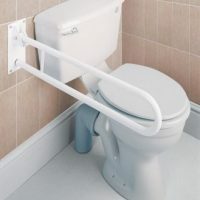 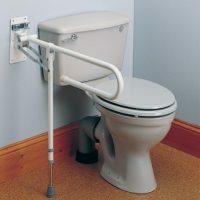 This plastic moulded bathtub grab rail is warm to the touch compared to metal grab rails. 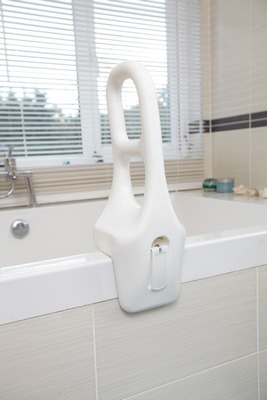 It provides a sturdy handle at the side of the bath with a cushioned clamp to protect the bath sides.